I don't know about you, but when it's hot, I love ice cream... however, when it's hot and humid, I actually lose my appetite (which might surprise most of you). This has kept me from really reviewing anything these last two nights. 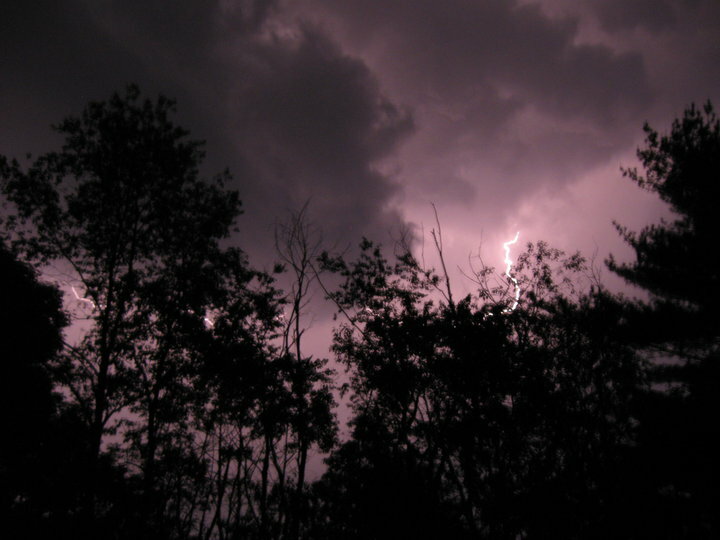 Luckily the bad weather was pushed out last night....in a very loud and hail-y sort of way. It was much cooler this morning, and after starting my day off with two very tasty pieces of country white bread toast, I decided to have a treat on the way to work. 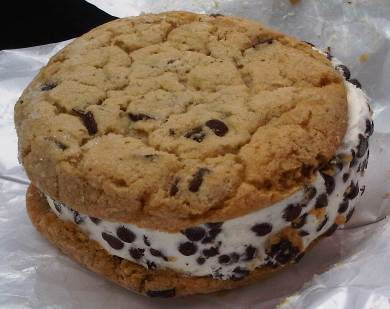 Blue Bunny's CHIPS GALORE chocolate chip cookie ice cream sandwich! Looks tasty doesn't it? I want to say it was a buck (maybe a buck twenty-five) at Walmart. Unfortunately I don't get to have a chipwich very often, so let's see if we can make do. Oh yeah, it looks even tastier than it's picture. I dug in and was very pleased with my treat. A cool treat and a cool refreshing breeze make a great pair. The cookies are excellent and I'm getting chocolate chips in every bite. Oh, how I do love my chocolate chips. I will make three notes here: 1) The chocolate chips are only on the outside of the ice cream as you probably suspected, but this is fine since there are still so many of them. 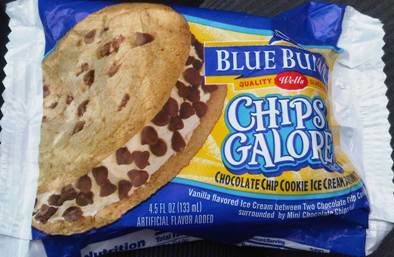 2) The ice cream is very bright white, and it doesn't have a lot of noticeable flavor, but I don't really care. The cookies are thick and adding a ton of flavor here and that's exactly what I want in a good cookie ice cream sandwich. 3) This could be healthier -but- it's not meant to be an everyday treat. Blue Bunny, thanks for making my ride to work a lot more pleasant.